Institutional investors (investment funds, insurance companies and pension funds) are major collectors of savings and suppliers of funds to financial markets. Their role as financial intermediaries and their impact on investment strategies have grown significantly over recent years along with deregulation and globalisation of financial markets. 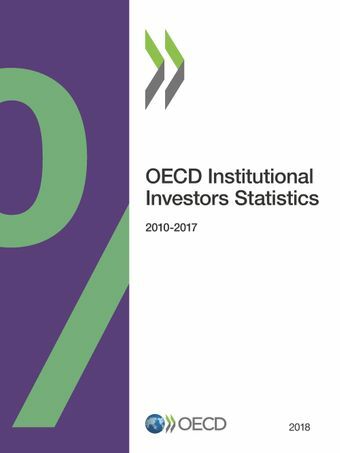 This publication provides a unique set of statistics that reflect the level and structure of the financial assets and liabilities of institutional investors in the OECD countries (with the exception of Australia), and in Russian Federation. Concepts and definitions are predominantly based on the System of National Accounts. Data are derived from national sources. Data include outstanding amounts of financial assets and liabilities such as currency and deposits, securities, loans, and shares. When relevant, they are further broken down according to maturity and residency. The publication covers investment funds, of which open-end companies and closed-end companies, as well as insurance corporations and autonomous pension funds. Indicators are presented as percentages of GDP allowing for international comparisons, and at country level, both in national currency and as percentages of total financial assets of the investor. Time series display available data for the last eight years. DATA ALSO AVAILABLE ON LINE The electronic data product provides longer time series: data from 1980 onwards are included.